You will come to appreciate the structure and function of neurons and the comrade cells which help to maintain the optimal function of the nervous system. The Wildcats Freshman outlast Madison Memorial in high-scoring affair, 15-12. The Wildcats Freshman and Madison Memorial lit up the scoreboard on Thursday as they combined for 27 runs. In the end, Wildcats Freshman won the offensive battle 15-12 in seven innings. There were 36 hits, including three extra base hits in the game. The game was back-and-forth heading into the second, with five lead changes. The Wildcats Freshman pulled out the win thanks to a strong second inning. The Wildcats Freshman scored on an RBI single by Jack Lilly off #8, plating Tristan Largent. The Wildcats Freshman were led by a flawless day at the dish by Carter Van Fossen, who went 5-5 against Madison Memorial’s pitching. He doubled in the third inning and singled in the first, second, fifth, and sixth innings. The Wildcats Freshman jumped out to an early 1-0 lead in the top of the first. Van Fossen singled to ignite the Wildcats Freshman’s offense. Connor McGowan singled, bringing home Tucker Teskey. Madison Memorial quickly matched the Wildcats Freshman’s strong inning with a five-run inning of its own in the first. Madison Memorial scored on an RBI single by #9, a groundout by #20, an RBI single by #19, a sacrifice fly by #8, and an RBI single by #3. The Wildcats Freshman never surrendered the lead after the second inning. The runs piled on thanks to a passed ball and two singles. The Wildcats Freshman added two more runs in the top of the third. Van Fossen kicked things off with a double, plating Teskey. One run in the bottom of the fourth helped Madison Memorial close its deficit to 9-6. An RBI double by #2 sparked Madison Memorial’s rally. Finally, Jon Buchert got #4 to fly out to end the threat. One run in the bottom of the fifth helped Madison Memorial close its deficit to 9-7. A groundout by #8 set off Madison Memorial rally. Finally, Buchert induced an inning-ending ground out from #10. The Wildcats Freshman tacked on another six runs in the sixth. A single by Mitch Lokken ignited the offense,, bringing home Eli Hano. That was followed up by Ben Felsheim’s single, scoring Lilly and Lokken. Three runs in the bottom of the sixth helped Madison Memorial close its deficit to 15-10. A two-run single by #7 and an RBI single by #6 gave Madison Memorial life. But, Buchert got #8 to fly out to end the inning. A two-run seventh inning helped bring Madison Memorial within three. A walk by #9 and an RBI single by #7 triggered Madison Memorial’s comeback. The game went final when #6. The Wildcats Freshman drop 12-2 game to Sun Prairie Red. Tucker Teskey went 3-3 at the plate, but the Wildcats Freshman fell 12-2 to Sun Prairie Red at Cardinals Heights Upper Middle School on Tuesday. The top of the first saw the Wildcats Freshman take an early lead, 1-0. The Wildcats Freshman’s rally started when Galen Combs singled. The game’s last lead went to Sun Prairie Red thanks to a first inning rally that saw three runs cross the plate on an RBI double by #8 and a two-run single by #22. Sun Prairie Red tacked on another four runs in the second. #8 singled, bringing home #2 to start the inning. That was followed up by #13’s single, plating #4. The Wildcats Freshman scored one run in the top of the third to cut their deficit to five. An RBI single by Combs fueled the Wildcats Freshman’s comeback. The Wildcats Freshman threat came to an end when #4 finally got Tristan Largent to ground out. Early lead gives the Wildcats Freshman victory over Madison LaFollette, 13-3. A seven-run explosion in the third inning led the Wildcats Freshman to a 13-3 win in five innings over Madison LaFollette at Badger Ridge on Thursday. The Wildcats Freshman scored in the third on an RBI single by Carter Van Fossen, a passed ball, a groundout by Ben Felsheim, a two-run triple by Connor McGowan, an RBI triple by Tucker Teskey, and an RBI single by Jake Lee. Sam Mattioli had a busy day at the plate, collecting three extra-base hits. He doubled in the first and fourth innings and tripled in the fifth inning. The Wildcats Freshman easily handled Madison LaFollette pitching as seven hitters combined for 14 hits, 10 RBIs and 10 runs scored. The Wildcats Freshman never trailed after scoring four runs in the first on an RBI double by Sam Mattioli and two singles. The Wildcats Freshman jump on Oregon early and coast to 10-4 win. The Wildcats Freshman jumped out to an early lead on Oregon and captured a 10-4 victory on Tuesday at Badger Ridge. Seven runs in the first three innings allowed the Wildcats Freshman to put the game away early. An RBI double by Galen Combs and an RBI single by Carter Van Fossen in the first inning and an RBI single by Tristan Largent, an RBI single by Tucker Teskey, a groundout by Combs, a groundout by Lorenzo Fountain, and a passed ball during the second inning supplied the early offense for the Wildcats Freshman. The Wildcats Freshman’s Largent was perfect at the dish, going 2-2. Combs baffled Oregon, striking out six batters. Combs allowed one earned run, four hits and one walk over five innings. The Wildcats Freshman jump on Beloit Memorial early and coast to 15-3 win. 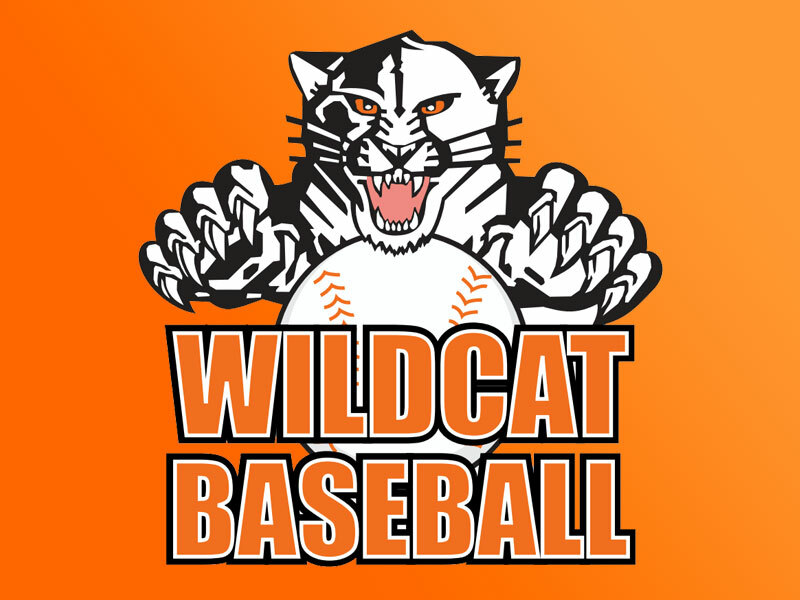 The Wildcats Freshman jumped out to an early lead on Beloit Memorial and captured a 15-3 victory on Thursday at Beloit Memorial High School. With 10 runs in the first three innings, the Wildcats Freshman left no doubt about the eventual outcome. A groundout by Lorenzo Fountain and a wild pitch in the first inning and an RBI single by Ben Felsheim, a passed ball, and a groundout by Tucker Teskey during the second inning fueled the Wildcats Freshman’s offense early. Grant Kelliher went a perfect 3-3 at the dish for the Wildcats Freshman. He singled in the second and fifth innings and homered in the sixth inning. The Wildcats Freshman built upon their lead with five runs in the third. The inning got off to a hot start when Mitch Lokken doubled, scoring Carson McCorkle and Stephen Van Horne. That was followed up by Felsheim’s single, bringing home Lokken. The Wildcats Freshman got one-run rallies in the fourth inning and the fifth. In the fourth, the Wildcats Freshman scored on an RBI single by Van Horne, plating Jack Lilly. Janesville Parker falls 13-5 at the hands of the Wildcats Freshman. 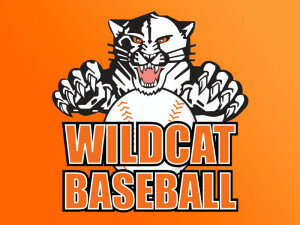 The Wildcats Freshman beat Janesville Parker on Tuesday 13-5 at Janesville Parker High School in seven innings. The Wildcats Freshman scored five runs in the sixth on the Wildcats Freshman scored in the sixth on a two-run double by Lorenzo Fountain, an RBI double by Galen Combs, an RBI single by Carter Van Fossen, and an RBI single by Tucker Teskey. Combs racked up five RBIs on two hits for the Wildcats Freshman. The lead stayed with the Wildcats Freshman after the first, when they scored four runs on a home run by Combs. The Wildcats Freshman increased their lead with three runs in the third. Fountain’s single got things going, bringing home Grant Kelliher. That was followed up by Van Fossen’s single, scoring Fountain. The Wildcats Freshman surrender sixth inning lead to Janesville Craig High School in 4-3 defeat. A tight game was decided in the sixth inning as the Wildcats Freshman fell to Janesville Craig High School 4-3 in seven innings on Saturday at Badger Ridge. Carter Van Fossen racked up two RBIs on two hits for the Wildcats Freshman. He doubled in the first inning and singled in the fourth inning. The bottom of the first saw the Wildcats Freshman take an early lead, 2-0. Tucker Teskey singled to ignite the Wildcats Freshman’s offense. Van Fossen doubled, plating Eli Hano and Lorenzo Fountain. Janesville Craig High School never trailed after scoring four runs in the sixth on two doubles, a fielder’s choice, and an RBI single by Kelly. One run in the bottom of the seventh helped the Wildcats Freshman close their deficit to 4-3. A walk by Fountain gave the Wildcats Freshman life. Janesville Craig High School closed the game out when Malmanger got Van Fossen to ground out. The Wildcats Freshman beat Madison West 8-4. Galen Combs went 3-3 at the plate, helping the Wildcats Freshman to an 8-4 victory over Madison West on Tuesday at Badger Ridge. He singled in the first, third, and fourth innings. The top of the first saw Madison West take an early lead, 2-0. After PlayerB singled, Madison West kept the pressure on the Wildcats Freshman pitching, as PlayerD singled, scoring PlayerB. The scoreboard lit up again for Madison West when PlayerC scored on a wild pitch. The Wildcats Freshman didn’t relinquish the lead after scoring three runs in the second inning when they scored on two singles. The Wildcats Freshman answered Madison West’s top inning with two runs of their own in the fourth. The Wildcats Freshman scored on a two-run single by Combs. After pushing across one run in the top of the fifth, Madison West faced just a 6-4 deficit. An RBI single by #20 triggered Madison West’s comeback. The Wildcats Freshman stopped the rally after Combs got PlayerF to strike out. The Wildcats Freshman tacked on another two runs in the sixth. A passed ball scored Carson McCorkle to get the Wildcats Freshman on the board in the inning. The Wildcats Freshman outlast Middleton High School in high-scoring affair, 9-8. Fans were treated to a high-scoring affair Thursday as the Wildcats Freshman outscored Middleton High School 9-8 in seven innings. The teams combined for 20 hits, including three extra base hits. The Wildcats Freshman held off Middleton High School, as Middleton High School was unable to overcome a eight-run fourth inning deficit. Middleton High School scored on an RBI single by Derek Reisdorf, an RBI single by Nico Morikis, a fielder’s choice, and a groundout by Nolan Dahlk in the fifth inning and a passed ball and a two-run double by Jacob Dresen in the seventh inning. Unfortunately, Middleton High School wasn’t able to take the lead back. Tucker Teskey racked up two RBIs on three hits for the Wildcats Freshman. He doubled in the second inning and singled in the first and fourth innings. The top of the second saw Middleton High School take an early lead, 1-0. Middleton High School’s offense woke up as Carson Blair singled before Caleb Smith singled, plating Dahlk. The Wildcats Freshman never trailed after scoring five runs in the second on a two-run double by Teskey, a two-run single by Galen Combs, and. The Wildcats Freshman piled on four more runs in the bottom of the fourth. The inning looked promising, as Combs singled, scoring Connor McGowan to kick things off. The Wildcats Freshman fight back, defeat Madison Memorial, 6-5. With the score tied at five, Carson McCorkle came to the plate and singled, plating Jack Lilly. The Wildcats Freshman were led by McCorkle’s hitting. McCorkle went 2-4, drove in one and scored one run. Lilly was solid at the plate for the Wildcats Freshman. Lilly went 2-4 and scored two runs. He doubled in the seventh inning and singled in the eighth inning. Galen Combs worked out of seven tricky spots for the Wildcats Freshman. He pitched three innings and allowed no earned runs on one hit. Combs faced his toughest moment in the eighth inning. In the top of the third, Madison Memorial grabbed the early lead, 3-0. #11 got things going for Madison Memorial with a single. A single by #15 then moved #11 from first to second. Madison Memorial added more runs when scored on a groundout by #4 and scored on a passed ball. The Wildcats Freshman brought home one run in the third inning, and matched that run total in the eighth. In the third, the Wildcats Freshman scored on an RBI single by Tristan Largent, bringing home Tucker Teskey. The Wildcats Freshman tied the game in the seventh on a two-run single by Connor McGowan that scored Combs and Eli Hano.